January 2009 marks the centenary of the first expedition to the South Magnetic Pole. The design of the stamps reflects the vastness of the Antarctic landscape, and includes black and white photographs from the expedition. The perforated sheet stamps were issued in se-tenant pairs. 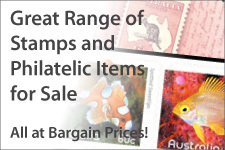 Unlike past issues released in pairs, these stamps were only issued in horizontal pairs. As a result the sheets contain 20 horizontal pairs, and 10 individual stamps. The traffic lights in the gutter indicate only three colours were used to print these stamps, black, grey and pale blue. 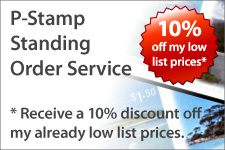 The four stamps were issued in a se-tenant horizontal strip within a miniature sheet. 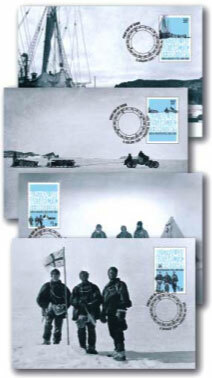 Imperforate versions of the four stamps exist from the imperforate miniature sheet issued in limited edition (500) South Magnetic Pole Folder issued as part of the 2009 Impressions catalogue. 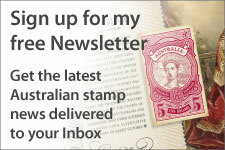 The only difference between the regular miniature sheet stamps and the stamps from the limited edition miniature sheet is the lack of perforations. 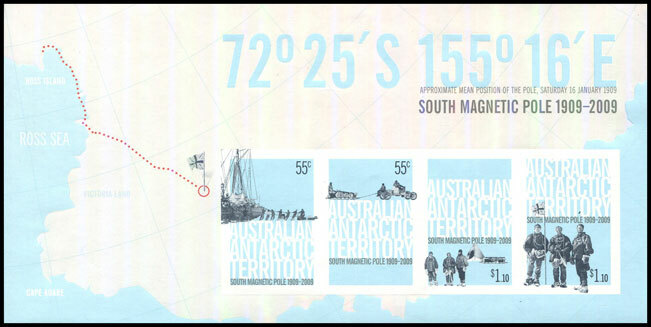 The imperforate miniature sheet in the South Magnetic Pole Pack issued as part of the 2009 Impressions catalogue. The white part of the sheet margin is covered in translucent, pearl foil which appears to be the same as that used on the 1996 45c Pearl stamp. Importantly, the stamps in the miniature sheet are not covered with the foil. Four maximum cards were released with this issue, each featuring the black and white photographs shown on the stamps.